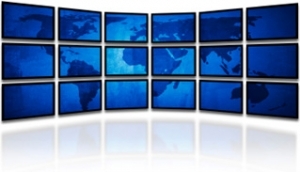 Functional Communications creates experiences with audio video architecture. We design, sell, and install AV systems including: business music, sound systems, voice, and video systems. Functional Communications is also the region’s local Mood Media dealer. Providing all of Mood’s global services to Upstate NY, Central NY and Western NY, we can offer your business exclusive professional applications at the local level. We have local offices in Albany NY, Rochester, NY and Syracuse, NY. From Buffalo, NY to Poughkeepsie, Mood Media FCC has been providing quality AV solutions for over 60 years. Whether you are in the market for a high quality commercial sound system or you need to upgrade your video conferencing to industry standards, we’re here to help. Contact us to see what audio video solutions we can provide for your business. One amazing tabletop device that enables audio and video conferencing, BYOD multimedia presentation, and web collaboration. Read More Here.